Join Peter Parker, his sister (?) Teresa and J. Jonah Jameson in a time-travel spectacular! Faced with a problem so huge that the only solution lies in the past, the unlikely trio will attempt to save tomorrow...by taking the fight to yesterday! But their high-risk gamble may just alter the course of history for the worse! 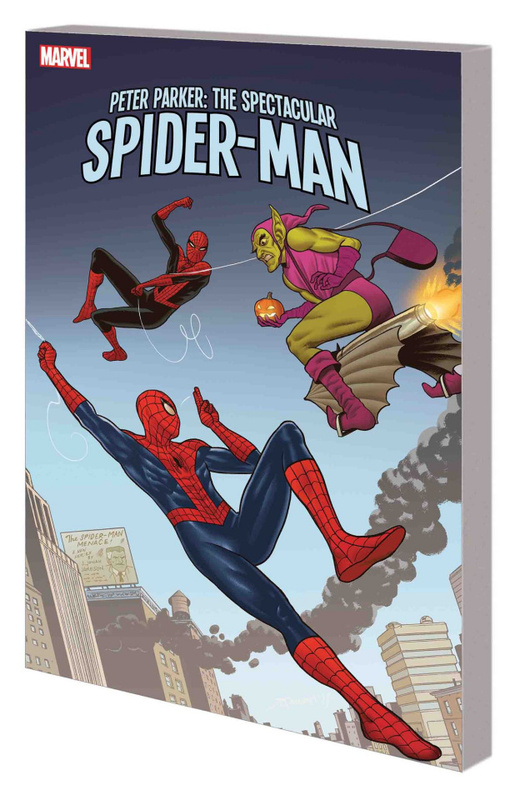 Because when Spidey & Co, head back to the present day, they'll find an Earth they never expected - where stopping one threat has unleashed something far worse! For in a world without Spider-Man, Norman Osborn reigns supreme! Can Peter trust one of mankind's greatest villains to set things right? And who, or what, are the Vedomi - and what is their problem with the continued existence of human life? Collecting PETER PARKER: THE SPECTACULAR SPIDER-MAN (2017) #301-303 and ANNUAL #1.